16 year old presented for routine exam. Dilated fundus exam showed the findings seen in the attached picture. What question do you need to ask the mother and what part of the body do you need to exmine? 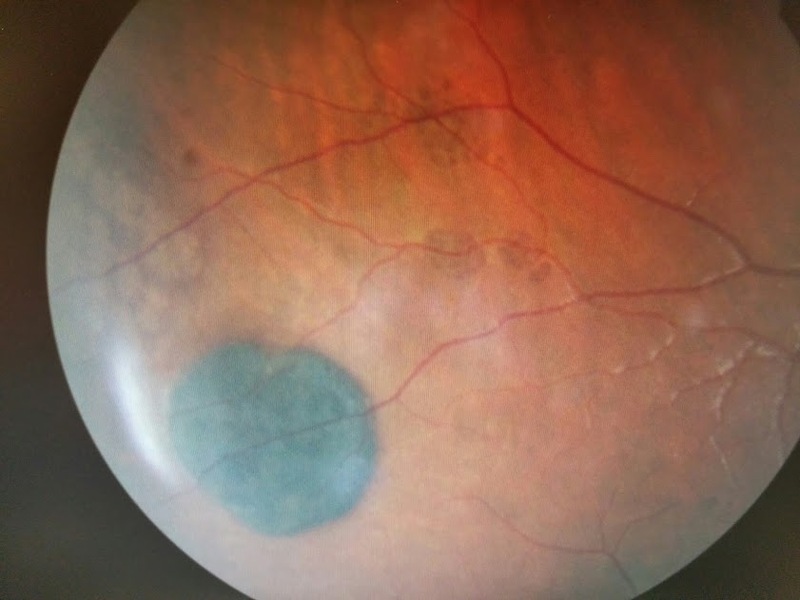 Congenital retinal pigment epithelial hypertrophy (CHRPE) is usually found before patients reach 30 years of age. Not commonly associated with malignant transformation.